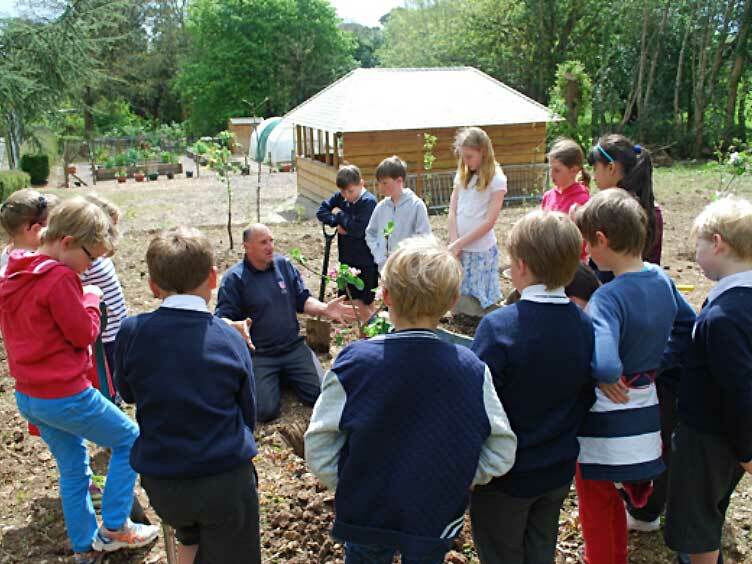 We are delighted to announce that Truro Prep School have been awarded the Gold Quality Mark for PE from the Youth Sports Trust. This nationally accredited award has identified the level of sporting provision in our school as embedded or outstanding, which means that we will now be sharing practice with some of the best schools in the country. Well done to our Prep Chamber Choir who won their class at Wall Gwinear Music Festival on Wednesday. Well done also to our Fencers who competed on Saturday in the IAPS Competition at Millfield – Sam Cox, Lexie Craze, Daisy Haynes, Melissa Jane, Aimee Whitelegg and Nick Cox, our youngest competitor who is in Year 2! On Sunday evening, we wave Bon Voyage to Year Six as they set off on their PGL trip to France. We look forward to hearing all about it as the week progresses. Please do visit the school website. 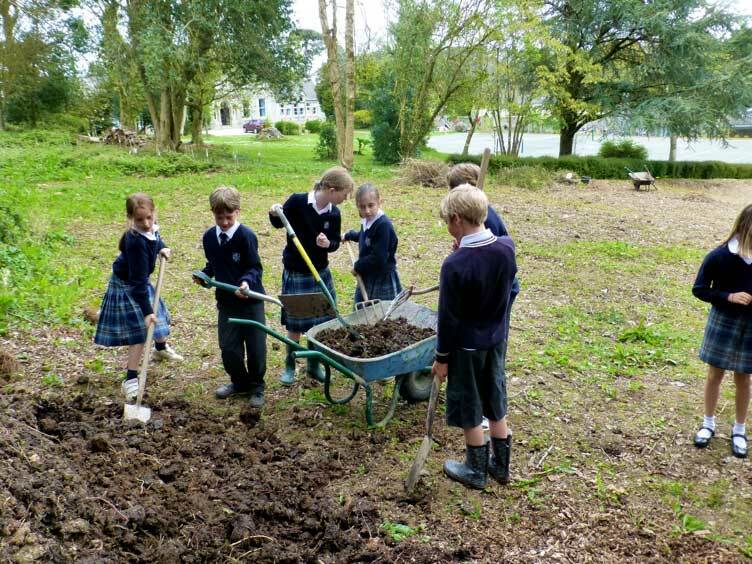 There is a lovely write-up on there for Year Four’s peachy performance in their school play. The Gallery also contains many wonderful photographs. Well done to Year Four, Mrs Gregory and the Mums who made wonderful costumes with Sue Rowe. Year Two were very fortunate to work with artist Hannah Woodman last week and to visit the gallery where her work is exhibited – the full story and pictures can be found on the website. Just to let you know that the bees have arrived and are settling in nicely in their hive in my garden. 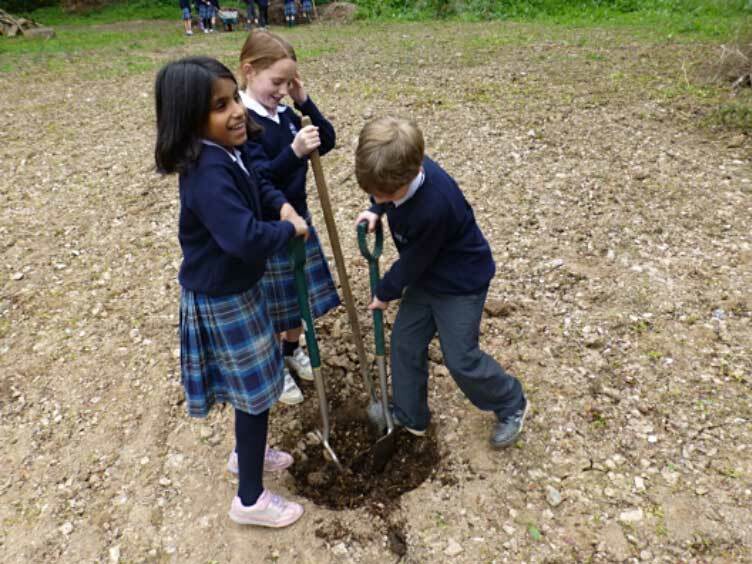 Lastly, tree planting is well underway for the new orchard, with pupils doing the digging and planting under supervision from the Prep gardener Colin Dower.